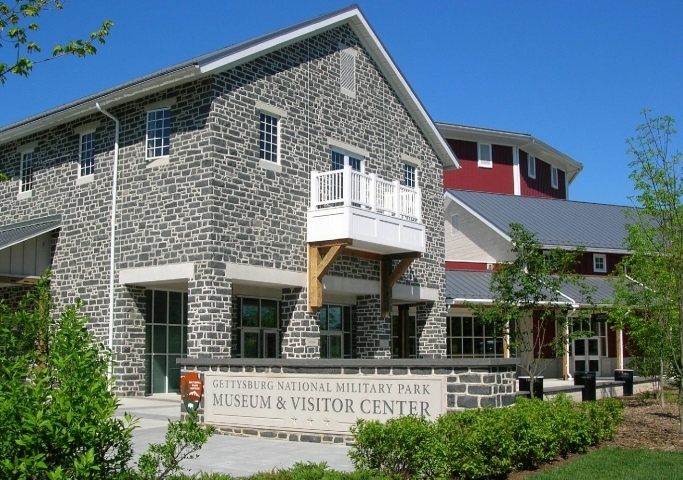 The Museum and Visitor Center at Gettysburg National Military Park is the best place to start your visit to historic Gettysburg. Begin with the Film, Cyclorama and Museum Experience at the Gettysburg National Military Park Museum and Visitor Center and then move on to the battlefield tours and numerous historic sites around the town and battlefield. Explore the Gettysburg Battlefield with Licensed Guides; participate in free National Park Service Ranger programs; view the breathtaking Cyclorama Painting of "Pickett's Charge"; discover the world-class museum with 12 exhibit galleries with artifacts, interactive displays and films. Whether you are just beginning to learn about Gettysburg and the American Civil War or you've been a student of history for many years, a trip to Gettysburg is for everyone. You will gain a better understanding of Gettysburg's history, and the importance of preserving, enhancing, honoring, and protecting one of America's most significant places. General Information: Dates Closed: The Museum & Visitor Center is closed on Thanksgiving, Christmas & New Year's Day. Check operating hours for weather, emergency & pre-holiday closures, Hours: Gettysburg Visitor Center November 1 through March: 9 a.m. – 5 p.m. April through October 31: 8 a.m. – 6 p.m. Gettysburg Battlefield April 1 to Oct. 31: 6 a.m. – 10 p.m. November 1 to March 31: 6 a.m. – 7 p.m. 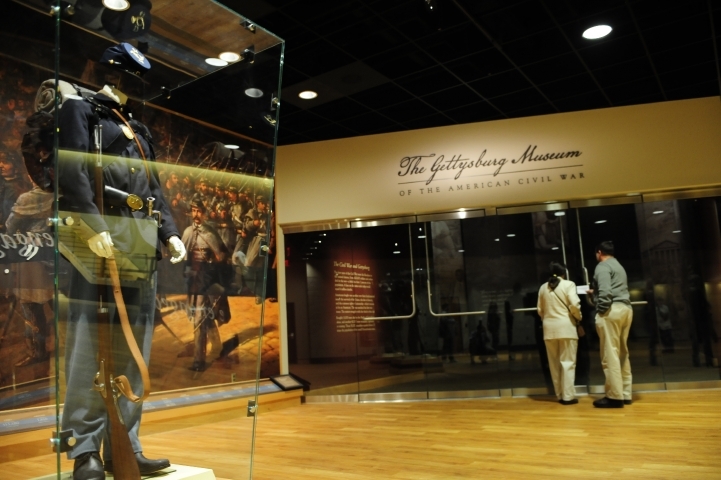 The Gettysburg Museum of the American Civil War offers visitors a museum experience that tells the story of the Battle of Gettysburg and its significance to our nation’s history. The Battle of Gettysburg Cyclorama, the nation’s largest painting, places visitors in the fury of Pickett’s Charge on the third day of the battle. Open from June through August, the George Spangler Farm Civil War Hospital Site is one of the most intact Civil War field hospitals used during the battle of Gettysburg. A New Birth of Freedom, a film narrated by Morgan Freeman and sponsored by The History Channel, provides context for the Battle of Gettysburg and the Civil War.